Lupus is a chronic, inflammatory disease characterized by the body’s immune system attacking its own cells and tissues. The cause is unknown, and there is no cure. Currently, more than one million Americans suffer from the disease, and more than 16,000 new casesare diagnosed each year. There are two common types of lupus: discoid lupus, a skin condition that does not affect other pans of the body, and systemic lupus erythematosus, which affects the skin, joints, blood, kidneys, and other tissues. 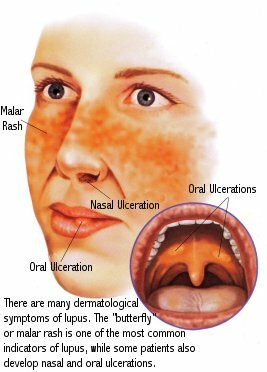 The common signs of systemic lupus are skin rash, fever, and arthritis. Certain drugs can cause lupus, but drug-induced lupus usually disappears when the drug is discontinued. Patients with mild lupus can often control their symptoms with over-the-counter anti-inflammatory drugs and they rarely experience flare-ups. In cases of systemic lupus, which is a more serious condition, frequent hospitalizations are necessary, and life-threatening complications affecting the kidneys and central nervous system can arise. Learning to recognize symptoms of a flare-up early can help physicians adjust therapy to better control the disease and allow the patient to lead a more normal life. Women under age 45 are particularly susceptible to lupus. It is very important that patients with lupus controlled by medications regularly visit their doctor and also talk with their pharmacist about any unusual symptoms they might experience while taking drugs. Lupus is an autoimmune disorder that affects the skin, joints, kidneys, tissues, and blood vessel walls. It is most commonly diagnosed in women under age 45. Although it may begin with dramatic symptoms, lupus is a chronic condition. Some patients may have no symptoms between flare-ups, or “attacks.” A normal immune system produces antibodies that protect the body against foreign invaders, such as bacteria and viruses. In lupus, the body cannot tell the difference between its own and foreign cells. Instead of producing antibodies to fight invaders, the body produces antibodies to fight its own cells and tissues. These “auto-antibodies” react with cells and tissues to form immune complexes, which cause inflammation and pain, the symptoms of systemic lupus. Unknown Cause: The cause of lupus is unknown, but scientists believe there is both a genetic and an environmental role in its development. Infections, certain antibiotics, ultraviolet light, stress, and hormones may all act as triggers to begin the lupus autoimmune reaction. Lupus may be related to hormone levels, since it occurs more commonly in females before menopause; lupus symptoms often flare up before menstrual periods or during pregnancy. The two most common types of lupus are discoid lupus and systemic lupus. Discoid lupus is a less severe condition affecting the skin. The skin in discoid lupus shows small red circular areas that eventually sink in the center and cause scarring, and larger areas of redness and scales. This rash often appears on the nose, external ear canal, neck and scalp, and also on the upper trunk and extremities. Hair loss in the affected areas is common. A small percentage of patients with discoid lupus will develop systemic lupus, even with treatment. Systemic Lupus: Systemic lupus is typically a more severe condition that affects other organs in the body in addition to the skin. Systemic lupus may involve the lungs, kidneys, blood, or other organs or tissues as well as the skin and joints. Patients with systemic lupus experience aching and swollen joints, high fever, fatigue, rashes, and anemia. Symptoms in more serious cases include hair loss, sensitivity to light, pain on breathing, blood clotting problems, kidney disorders, seizures, headaches, psychosis, confusion, and mouth or nose ulcers. These symptoms may start slowly and develop over months or years, or they might appear all at once, as if the patient had an infection. A third form of lupus, drug-induced lupus, is similar to systemic lupus but usually disappears when the drug is discontinued. Drugs known to cause lupus are hydralazine (for high blood pressure) and procainamide (for irregular heartbeats). Tests: There is no specific test to diagnose lupus. In patients with suspected systemic lupus, a physical examination is necessary; a thorough history of symptoms and general and specific laboratory tests will determine the condition of the immune system. Treatment of lupus involves a balanced diet, plenty of rest, regular exercise, and medications to control symptoms. Non-steroidal anti-inflammatory drugs, such as aspirin, ibuprofen or naproxen, can control inflammation and pain. In patients who cannot take these medications, acetaminophen or corticosteroids are often used to control pain. 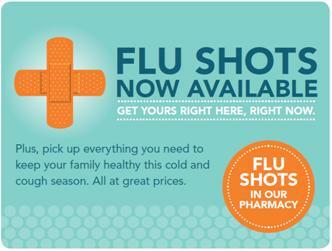 These drugs also help suppress the immune system’s attacks on the body’s cells and tissues.